Dr. BurnSilver is an environmental anthropologist who studies how global climate and economic changes are transforming relationships between modern pastoral and hunter/fisher communities and the environments they depend on. At the core of her research is an examination of processes by which households and communities respond to these changes and associated effects on livelihoods, well-being and ecosystems. She frames theoretical questions from within Environmental Anthropology, but takes an interdisciplinary approach to examine dynamics of change, vulnerability and resilience at the scale of households and communities within social-ecological systems. 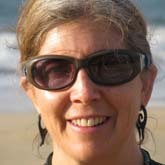 Her work combines qualitative and quantitative methodologies, leveraging the strengths of ethnography and quantitative survey research and incorporating unique insights gained from social network analysis, traditional ecological knowledge, collaborative science, and social-ecological modeling to understand patterns of change - and their implications for people. She is interested in emergent definitions of "progress" and "well-being" in the midst of changes. How do different groups describe their relationships to Nature and landscapes? Do these cultural understandings shape livelihood decisions in the short and long terms, and if so - how? Dr. BurnSilver works in the Alaskan Arctic with modern Iñupiaq and Gwich'in hunters/fishers and in East and West Africa, with Maasai (Kenya) and Tuareg (Mali) pastoralists. The responses of arctic hunters/fishers and savanna pastoral households to change are compelling to study and compare because while they represent iconic examples of groups who possess a highly-cohesive set of cultural and ecological adaptations to cope with extreme environments, people now face new sources of risk and uncertainty, such as climate change, market integration, and property rights transformations. Do traditional coping strategies, social structures and ideas about living on the land disappear under new sources of risk? Results of prior research indicate otherwise. Households diversify, mixed economies emerge, and social relationships of sharing and cooperation endure and change. Strong collaborations with local stakeholders and communities, who are also engaged with questions of well-being and sustainable livelihoods grounds my ongoing research activities. Berman, M., G. Kofinas and S. BurnSilver. 2017. Measuring community adaptive and transformative capacity in the Arctic context. Pp. 59-75 In: Fondahl, G. and G. N. Wilson eds., Northern Sustainabilities: Understanding and Addressing Change in the Circumpolar World. Springer International Publishing. DOI: 10.1007/978-3-319-46150-2_6. ISBN: 978-3-319-46148-9. BurnSilver, S. B., R. B. Boone, G. P. Kofinas and T. J. Brinkman. 2017. Modeling tradeoffs in a rural Alaska mixed economy: Hunting, working, and sharing in the face of economic and ecological change. Pp. 52-83 In: Hegmon, M. ed., The Give and Take of Sustainability: Archaeological and Anthropological Perspectives on Tradeoffs. Cambridge University Press. ISBN: 9781107078338. Dakos, V., A. Quinlan, J. A. Baggio, E. M. Bennett, O. Bodin and S. B. BurnSilver. 2015. Principle 2: Manage connectivity. Pp. 80-104 In: Biggs, R., M. Schluter and M. L. Schoon eds., Principles for Building Resilience: Sustaining Ecosystem Services in Social-Ecological Systems. Cambridge University Press. Galvin, K. A., R. B. Boone, S. B. BurnSilver and P. K. Thornton. 2009. Humans and wildlife as ecosystem components in integrated assessments. Pp. 129-142 In: Manfredo, M. J., J. J. Vaske, P. J. Brown, D. J. Decker and E. A. Duke eds., Wildlife and Society: The Science of Human Dimensions. Island Press. Washington, DC. ISBN: 978-1597264082.